The perfect mix of salty and sweet, these crunchy pretzel treats offer a great way to wish someone a Happy Birthday! We’ve taken crispy, salted pretzels and bathed them in our signature Belgian chocolate. 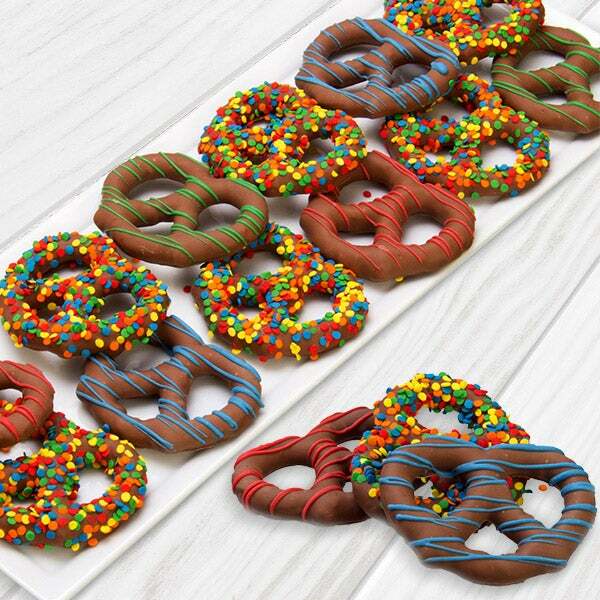 Each pretzel is lovingly decorated in the most cheerful way possible. These pretzels will make anyone smile on their special day!